Previously had an Ecobee connected to OhmConnect? We can help you get back on track! Folks who previously had their ecobee connected to OhmConnect and lost connection now have the option of getting reconnected. Note that the Ecobee_API widgets mention "Unknown error". Please click the blue "Retry Connection" dual arrows. 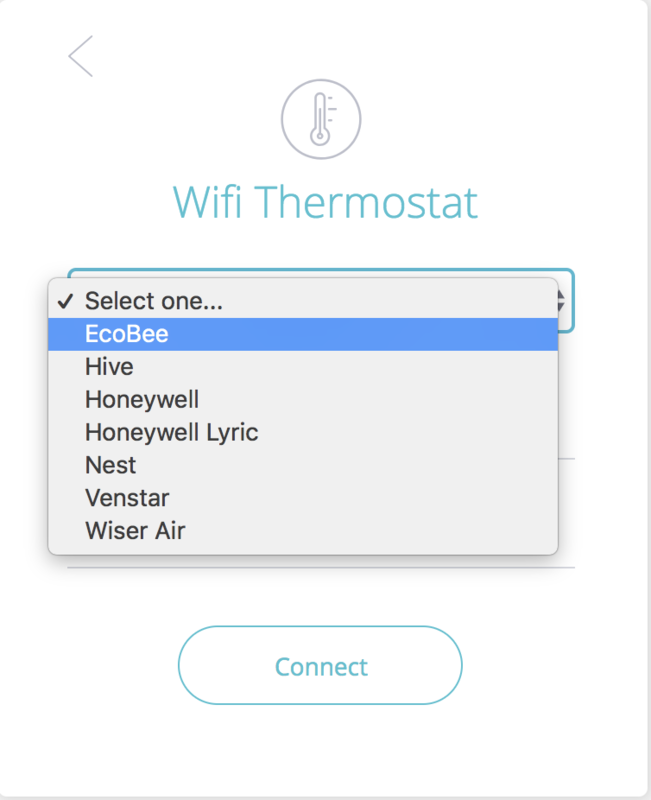 Step 2: Please select and connect to Ecobee. 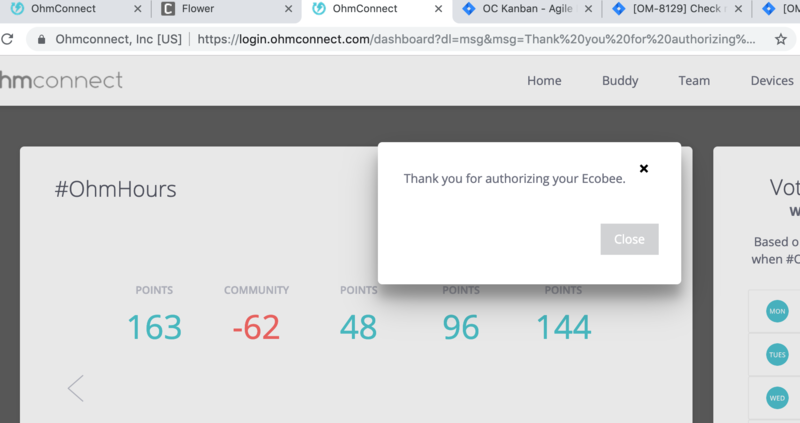 Once you press connect, you will be directed to the Ecobee website/mobile application to authorize OhmConnect. Kindly enter in your log-in details and follow the steps to get your Ecobee connected. Please make sure your thermostat is online and connected to your home wifi network when you are doing this! Step 4: Congrats! You are authorized! 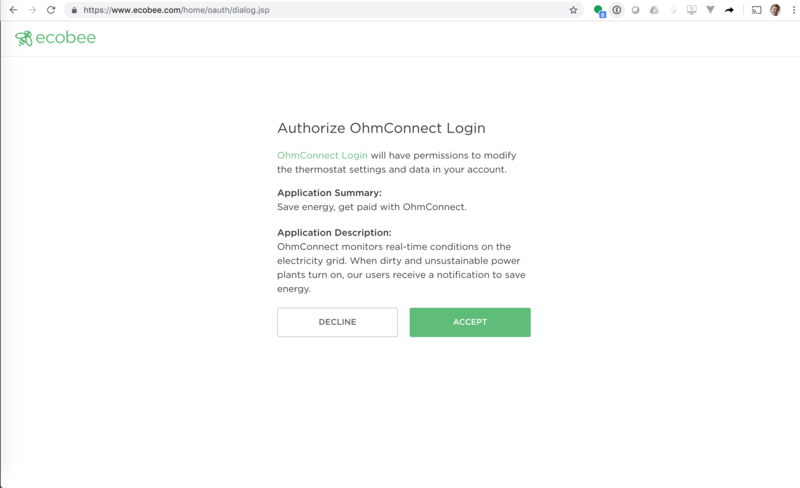 After reconnection, your Ecobee should be reconnected and Device Status should be switched to "On" to ensure it can be auto shut-off prior to #OhmHours by our system! 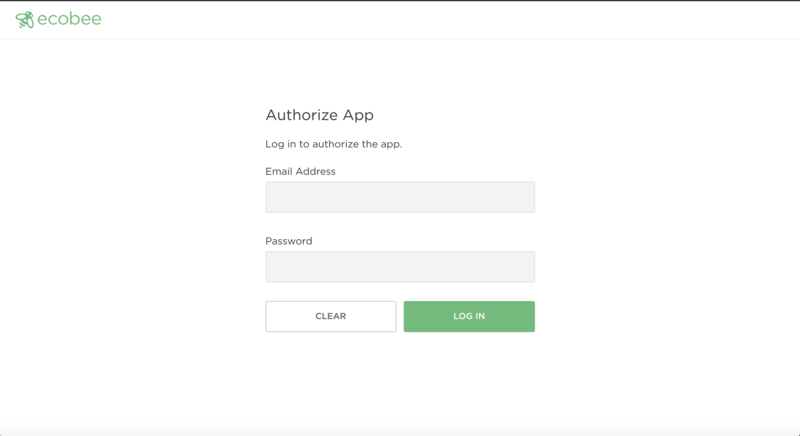 Something not working on the Ecobee website when you are trying to authorize? If not, please do write to us with further questions at: https://login.ohmconnect.com/help and press the "Contact Support" button in the bottom right hand corner!